Sounds fabulous, doesn’t it? Surely it can’t be true? But it is! There really is a hiring boom in one organisation, in contrast to the hiring hibernation occurring almost everywhere else in the recruitment forest. And you don’t have to have ANY previous relationship with the company to submit candidates. Surely this is too good to be true? So what’s the catch? You bet there’s a catch. And this catch provides a revealing glimpse into a possible future for many recruitment agencies providing, or aspiring to provide, top talent to the top end of town. In this instance, the top end of town I am referring to is not an ASX Top 100 company. They aren’t even publicly listed. In fact they are positively tiny (200 employees, $35 million sales), on the landscape of corporate Australia. The company I am talking about is Atlassian. Atlassian are a Sydney-based, enterprise software company. They provide products to over 15,000 customers in 113 countries (not bad for a company only 7 years old). Even if you haven’t heard of them, I would suggest you might want to look very closely at what they are doing in the world of recruitment. It’s an instructive insight into what happens when an organisation, regardless of size, has a super-cool brand, combined with lots of opportunities and is prepared to play the recruitment game on their own terms. This fascinating glimpse into the future has occurred because Atlassian is in the market to recruit 32 engineers for their Sydney office (they also have operations in Amsterdam and San Francisco). The Atlassian careers site caters for recruiters who want a piece of this hiring action. The guys and gals in the Atlassian marketing department have even given us a new name – Bounty Hunters and they’ve set some new recruiting rules. Here are the rules, as listed on their website. Rule 1: You can’t empty your candidate database into our inbox The first time you send us candidates, you can only submit a maximum of 4 candidates (across a 5 month period). Rule 2: Great candidate, means a great relationship Make sure that these candidates are awesome. If one (or more) of these 4 candidates is hired, you are eligible to submit more candidates and become our recruitment partner. Rule 3: Unsuitable candidates, sorry mate! If none of these candidates you put forward is good enough, then we must unfortunately part ways. For you tennis fans, it’s a bit like how Hawkeye is used – the players have 2 unsuccessful challenges per set, once you’ve used them up, sorry, no more chances. Well if it’s good enough for Wimbledon then maybe it’s okay for recruiters? The next step for the brave Bounty Hunter is to fill out an online ‘information request’ form to see what else Atlassian require prior to submitting candidates. Within minutes, into your Inbox drops a sloppily constructed email (obviously this Gen Y focused company doesn’t care much for old-fashioned things such as good grammar and accurate spelling) which details your rewards if you strike placement gold. Noting that the boffins at Atlassian quote the fee inclusive of GST, I’ll save you the trouble of getting your calculator out and tell you that the percentages on the above fees within the quoted salary ranges, top out at 12.8% and drop to 10.8%. Well those fees aren’t great but times are tough so let’s have a look at the Bounty Hunter Terms and Conditions to see what little gremlins are hiding in the fine print. Let’s start with Section 4 – what Atlassian term ‘The Recruiter’s Obligation’. I’ve reproduced this section in full. All comments in italics have been added by me. All bolded words in blue are original text with bold added by me for emphasis. Prose, use of capitals, grammar and spelling has been left exactly as per the original document. 4.1 Use its best endeavours to ensure that each Applicant introduced by it to Atlassian is suitable for the job offered by Atlassian. Recruiter is to perform adequate reference checking prior to submitting applications. 4.2 Put forward a maximum of four Applicants to Atlassian for further evaluation. Only at least if one of the four Applicants has been Engaged by Atlassian, can Recruiter put forward more candidates to Atlassian (too bad if you had a great candidate who turned down an offer or Atlassian were too slow to make an offer). 4.3 If requested by Atlassian, submit additional information about the Applicant using the forms / documentation provided by Atlassian (at the recruiter’s cost and privacy laws allowing, I assume). 4.4 Never, at any time during the Term of this Agreement, attempt to solicit the business of the Atlassian directly, or attempt to contact any officer or employee of Atlassian for the purpose of gaining information as to the recruitment requirements of Atlassian, or for the purpose of attempting to entice away or solicit any employee with Atlassian with a view of offering or obtaining alternative employment, engagement or otherwise for the said employer [sic] (in other words, don’t proactively call anybody here about our recruitment or to headhunt our people). What happens if the candidate doesn’t work out? 6.3 In the event of termination of an engagement within 3 calendar months of its commencement, the Recruiter shall refund the client the full fee. Oh, in case you were wondering, Atlassian’s terms are 30 days from the date of the placement invoice, which cannot be earlier than the start date of the candidate. • Are you willing to play Atlassian’s game? Why? • If you chose to play, how do you make it work for you? • What if your top 3 clients started a similar game? Would you play? Why? Are you ready to play the recruitment game on the client’s home court with their rules? Hi Ross, Thanks for stating this. Like you I pride myself on my commitment to recruiting and have actively recruited every day over 25yrs. I am concerned at these types of industry negative activities, perpertrated by ill informed people but often copied by many. Time for all industry rofessionals to voice their response. We are professionals, we strive to contrinute, we do a great job for Clients and candidates alike and we most assuredly add real value to industry. I for one am tired of nexperienced loafers who hop from job to job knocking us in public. Usually based soley on myth and hysteria. This is interesting stuff. I sympathise with Bill's comments (even if only after my 2.5yrs recruiting). However I'm more interested to know how one would actually get industry professionals to voice their response (or for the response to be heard). Here's one solution to this problem. Change your approach with companies who have mandates of this nature. View them as SOURCE companies only. There are countless other competitors who would be interested to take staff on from a competitor that is doing great things, particularly in this space. I learnt this from an English recruitment industry guru and trainer who (true story) was paid a very large fee by a company as a guarantee he would stop attracting staff away from their business. He only used them as a source for staff after continual refusals to even discuss quality candidates he had that were suitable to their business (and was aware they did use recruiters). I think this business (Atlassian?) would qualify as a source based on the stuff Ross has outlined. Personally I would want to discuss their approach with them directly and explain why it won't get them the most desired results. If as detailed they are not prepared to discuss anything with respective recruiters, you will not be consulting for them in any case and may as well have a crack at the aforementioned. Besides, engineers in this space are very sought after, so finding appealing opportunities to lure them away with won't be tough. Give it a go Bill (et al). You have nothing to lose, and may make a nice placement with another firm that appreciates your services and the quality candidates you offer. Chris, a comment on this blog post would be an ideal place to explain why this approach won't get the desired results. Personally, I have always operated as a Consultant. As there is no consulting required for the opportunity offered by Atlassian then I will happily leave it to the people who like to jam square pegs into round holes and hope for the best. In my current RPO business I had the pleasure of dealing with an agency who has spent a lot of time developing their knowledge of the culture, the process and the jobs on offer with my client – and in August one consultant was able to bill over $20k in one week. It seems to me building long term relationships, developing a real understanding of the client and having complete confidence in your candidates ability to meet the job requirements is always going to pay you more than short term peg filling. Re comments made to date by Chris and Bill – I trust in the free market to deliver a verdict on what works and what doesn't. If Atlassian's campaign generates them a quality hire (times 32) and the way they conduct themselves with recruiters also ensures it is profitable for the 'Bounty Hunter' (gotta love that title) then surely it is win/win. The key requirement on both sides is trust which is hard to establish if Atlassian won't agree to an initial meeting with a recruiter. No doubt they hope their coroporate videos will do it for them. I have requested an interview with Atlassian when their current recruitment campaign is complete so I can report back on the results and learnings. Firstly, I am an Atlassian employee (not HR, a tech) involved in interviewing people for positions here. We were pleased and interested in your blog Ross, and have had our tech writers vet the correspondence sent out. I am very surprised by the previous comments though, they really don't get it at all. We have used traditional industry professionals in the standard way (and had experience with industry "roffessionals" too, and no we won't "contrinute" with them). A minority have been excellent but largely they haven't added a lot of value over and above what we have been able to attract directly. That said, we have no interest in knocking recruiters and to the best of my knowledge have not done so. As far as using us a source, you're most welcome to try. This company is a young dynamic company doing exciting things with a wealth of excellent talent. Employees are very well looked after and there is an innovative approach to working conditions. See Dan Pink for more details: http://bit.ly/bngUF In short, we like it here. Our requirements are very simple. We want the best possible people for the advertised jobs. There is no hidden agenda, we don't want to consult with you about channels. If you have someone outstanding, they will come here and most likely stick. If you are not willing to try then you are admitting that you do not represent real talent, or that you do not believe in the talent that you have. "If you are not willing to try then you are admitting that you do not represent real talent, or that you do not believe in the talent that you have." This statement alone clearly shows Altassian's complete lack of respect and understanding for what real recruitment consultants do. Ross, we (you as the IT Guru) should start up a web page / link or something where we can all list those businesses who have in their own way demonstrated an unjustified level of disrespect to all the decent recruitment consultants out there. In my 25 years of recruitment I have seen a lot of business schemes designed to screw the recruitment industry, never before have I been presented with an opportunity to express my disgust in these practices. 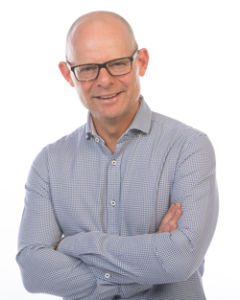 Greg Savage did the best job of bringing to light some of the stupid strategies our own industry has been guilty of creating when he introduced the then RCSA president at the Perth RCSA conference some years ago as the "F…. B" that started the price wars and was greeted by thunderous applause from the audience. Lets see if we can stand together again to educate those businesses that clearly see recruitment as just another throw away resource. I for one have a "complete lack of respect" "for what real recruitment consultants do", but it's based on first-hand experience of being hassled and spammed in email and on my phone by them despite repeated requests to stop. I don't have this problem with any other industry professionals. Sorry for the negative comments – I'm sure you guys are worthy of the respect you expect, but my experience has soured my opinion of recruiters. Unfortunately I often meet people who have had similar experiences. And PS why would I bother referring top guns at basement $'s? you clearly dont understand people are assets but rather numbers to be bartered for Sigh…. Dear Annonymous.. Its easy to knock a vocation but without surrounding facts no intelligent person can take such comments seriously. Thats the type of comment that has been adding to the hysteria out there. I believe we do a great job and obviously many candidates and clients agree how else would I be able to operate 12/6 for 25 years? As a software engineer I've had a lot of bad experiences with recruiters. Most of the ones I've dealt with have been rude, pushy, and disrespectful of my time. I now actively seek out companies that I would like to work for and apply direct so that I don't have to go through the painful experience of dealing with rude, ignorant recruiters. This may sound like a fluffy generalisation but I am speaking from my own personal experience here in Sydney. I am not, and have never been unemployed and believe I'm an excellent developer with passion for what I do. I think Atlassian have things set up just right. And to those recruiters who think the rates Atlassian is offering are low – you really don't need to do much to earn the money other than find excellent people. I think the rates are very generous. I am currently part way through the recruitment process with Atlassian. I found them via the web rather than via a recruitment consultant. So far, I perceive the interview process to be rigerous, fair and effective. When I read about the way Atlassian plans to work with recruitment consultants I also thought it was fair. They are asking for your help. They are asking for results. I DO believe it is possible for a recruitment specialist to add value to this process but it is time to rethink the approach. This is an excellent opportunity for really talented recruiters who are interested in truly understanding talent and making the perfect match. Right now many industries are changing. Take a look at publishing and how the business model is collapsing in the face on low cost distribution and massive reach provided by the internet. If you think this doesn't apply to you, read "What would Google do" for a detailed assessment of how other industries such as Real Estate are being transformed. "Selling" doesn't add as much value as it used to. The value of a product or service is much more transparent. This is a step forward for our economies since we can divert more energy into creating real value. This change is absolutely inevitable. The opportunity for a really entreprenarial recruiter is to focus intensly on the quality of her service, to cut away the costs of doing business the way we did last century, to compete hard in this economy of abundance. A smart recruiter who understand this change and innovates most effectively will be very successful. Especially since Atlassian has 32 positions on offer. Well done Atlassian. For far too long recruiters have tried to dictitate the clients hiring decisions. Recruiters should feel privilaged to recruit for Atlassian. I have read the various comments from recruiters above and have to disagree. This is a complicated space to recruit and here we have a client who knows what they want. They now set the rules, and if you want to make a placement fee – do the work for it. Don't just post a job advert and prey for the perfect candidates to come through. "Are you ready to play the recruitment game on the client's home court with their rules?" Where have you been the last few years for Pete's sake? Welcome to the new way of doing business. Welcome to the world of social networking, and open and creative organizations. Instead of hoping for the good old times to come back, swallow your pride and be creative. Ross, shouldn't you, as the author have an opinion? It's seems from besides the spelling you don't say whether you think the terms are fair or not (simply that they are non-standard)? Is this the industry moving forward or backward? I think it's pretty clear that the process is to filter out the spammers at the gate. That you have to earn a client's trust rather than assume it. If you do happen to refer candidates to Atlassian that work out then I assume all the rules would change (have no idea, don't work for the company etc.). Look at it from their perspective: In any commission-only industry you are going to get a large amount of 'lotto players' who are there to randomly succeed through sheer quantity submitted. The four candidate rule is ingenius. From your perspective, or I guess any successful individual recruiter, these situations are puzzling because you assume that everybody is like you. But that's simply not the case from the other side of the table (likely 90%+ bad actors). This system is simply designed to accommodate that very real situation. If you can't believe in yourself to earn a client's trust (who is paying who here), then as ElleJay says, simply don't bother. @Bill the 'we' in your post may very well refer to your own company but it certainly doesn't refer to the industry. If you can't accept that reality then good luck to you. If you can't see client's pain and their point of view and interpret it as a threat or 'industry negative' then that is truly sad. If you're such an amazing recruiter who has been doing this for 20 odd years, then surely you must have one or two amazing people you could send to Atlassian? Surely if you've been in this industry as long as you have you've witnessed how many horrible, awful people have given recruiters a bad name. But your beef is with them, not Atlassian, who has clearly gotten fed up with Spamcruters who just dump resumes on them. So, put your money where your mouth is and pony up one or more of their 32 open positions. Or just shut up and stop complaining about how a small company that produces great products doesn't need your help to be awesome. Sarah here, I'm one of the members of the Atlassian Talent (HR) team. There are lots of interesting comments here – thanks for joining in on the discussion. We've had a great response to our Bounty Program with a lot of positive feedback from the agencies who've signed up, so it's good to get feedback from the other side! Ultimately, we designed the Program to find and encourage great candidates from recruiters and it's working! Given the number of roles we're looking to fill, we tried to look outside the box and put together a program that was innovative, different and Atlassian. We've used agencies numerous times in the past and have had to sign up to terms and conditions that suited them, even if they haven't suited us. In putting together the Program, we set terms that we are comfortable with to ensure our expectations and the rates we're willing to pay are clear. The Program is an open invitation to recruiters who are up for the challenge of finding the best software engineers/techs in Sydney, and who are interested in the possibility of partnering up with us. Without the Program, we would have had to sign up to the terms and conditions of a number of individual agencies, all operating on different placement fees, replacement agreements, etc which we were not willing to do. I'm quite surprised by this discussion! I've been working in the IT industry for 10 year, 7 as a contractor & consultant, and I've never seen any real reason to value the contribution a recruiter made (both as someone being hired and someone trying to hire). It sounds like most of the recruitment people here haven't actually heard of Atlassian. It's probably worth noting that for Java developers in Australia there are two employers who are doing really good, interesting work and have a excellent reputation for having the best people working for them. They are Google (Sydney) and Atlassian. I'd note that Google doesn't accept submissions from recruiters at all. I doubt Atlassian really needs recruiters either, but I'm guessing they don't want to exclude the possibility. Fortunately for recruiters there remain a lot of companies who are prepared to hire less-than-the-best developers, and in those cases the fact that recruiters generally have a lot of names on their books is an asset. As an employer, I'm sick of recruitment agents simply sending me their entire catalogue of people. The overwhelming majority of so-called candidates we get through recruitment agents are a total waste of time – the agents have done little more than pick a handful of skills and pattern-match them against CVs. If we ask for and expert in X, we get every candidate who mentions it. Utterly pointless. As a potential employee, it happens the other way round. Less than 1 in 10 jobs an agent contacts me about are even vaguely suitable. Of course, there are exceptions and we gladly use those agents. But they've ended up going through a similar filtering process that Atlassian have – they've demonstrated a will to do their job properly. If I were you, I'd stop complaining, and be glad that an employer is forcing the recruitment industry to do it's job properly instead of wasting everyones time. "…be glad that an employer is forcing the recruitment industry to do it's job properly instead of wasting everyones time." Here here. So over lazy recruiters with little to no technical experience trying to place people in jobs they know nothing about. One thing I think recruiters should remember is that awesome IT professionals usually find themselves in each of the employee AND employer roles at different times. Bad behaviour and poor performance leave a lasting impression. I think this process may be limiting for good recruiters. Then again, I have worked with 5-6 good recruiters out of perhaps 50. When I am looking for a job, I get 'recruiters' who have done a pattern match and never have read my resume. I have been a Director or VP running development for 10+ years and I get jobs for entry level tech support in distant states. Maybe 1/2 of the jobs I receive are even a vague fit, and 1/4 are something that I would even consider. As someone who has hired 100s of people, my experience is about the same. I meet with them, we discuss what I'm looking for in detail, I tell them exactly what I'm NOT looking for. Then at least 50% of the time, I get exactly what I don't want in a big stack of resumes. I can open the faucet and get 100s of resumes by posting on a job board, that's the last thing I want to get when I'm paying thousands of dollars to a recruiter. I don't know if the exact specifics of Atlassian's program are correctly tuned, maybe the percentage is off or the number of initial candidates is to high or low. But I like the idea, and definitely understand why they would want to do it. Thanks for all the many and varied comments on this topic. It's great to see so many people contributing. My view on Atlassian's tactics is that there are potential advantages, in theory, for both recruitment agencies and Atlassian but it all depends upon how effectively the process works in reality. I will be keeping a very close eye on this recruitment campaign and I look forward to reporting back to everyone via a future blog post. Props to Atlassian. Real Estate market next plz. There are some decent, honest recruiters. And there are some decent, honest car salesmen. Just not many of either. So when a company like Atlassian challenges the stereotype, I'd be glad for the opportunity to change people's opinions of recruiters. Remember how Saturn's no-BS sales changed car sales? Definitely on Atlassian's side here. 100 per cent. COMPLETELY. I've been both sides of the equation for around 10 years. In that time, I've met maybe three recruiters who care about me as an individual and in building a real understanding of me rather than just flicking my CV to a client in the hope that they've highlighted the right words. The last time I recruited on a client's behalf, I imposed similar requirements on recruiters I used. It got me great people from the agencies who care about their candidates and a deep understanding of what appears to be about 90 per cent of agencies that simply want their fee and to churn through bodies. Big props to Atlassian for saying what they mean and for making recruiters actually do real work for their money. Mindset's talent division operates with a different process and methodology to most. Mindset takes a long term consultative partnership approach with its clients to ensure that the role is scoped in its entirety using our High Performance Role Clarity (HPRC) Definition process. This takes in not just skills, qualifications and experiences but also maps out the ideal personality profile for that particular role at that point in time. The HPRC takes into account the multiple and often conflicting requirements of the role’s various stakeholders. Once the role is scoped Mindset then goes through a comprehensive talent sourcing exercise so that we then have a pool of candidates to select from. Mindset then works with its clients through a structured screening interview , assessment, debrief and reference checking process to be able to make a final recommendation to our clients. The HPRC, our process, the assessment etc all create significant value for our clients, not least of which is that they end up with a candidate who will deliver the required results in a shorter ramp-up time and with an excellent fit for the company culture, and a much longer “guarantee” period. However to deliver this result, a Mindset consultant must also do significantly more than a conventional “flick & stick” recruiter and as a result we have to charge more for our services, and only a retained basis. Throughout the GFC our recruitment volumes have increased as a result of this focus on creating client value. Mindset has been recruiting new consultants to keep up with the volume of work while others have been shedding staff. My take on Atlassian is that it is an approach that will work to screen out the vast bulk of contingency recruiters who add little value to their clients’ businesses. However, the Atlassian approach also takes little account of innovative more-value added recruitment and selection approaches. It tars the whole industry with the same brush. Mindset won’t participate as 1) the fees aren’t worth our efforts and 2) Atlassian probably wouldn’t appreciate the value of our approach and therefore be prepared to pay what our service is worth….and hey, we’re cool with that! Some companies just aren’t ready for us. This is probably the most commented on blog I’ve seen, and i read a lot. I have mixed views both to the comments and the project itself. The first one is concern. 1: By opening this up to all recruiters you create a competition based on speed rather than quality. If i find a cv that looks ok i need to send it, because i know all of my competitors are hunting in the same places and could beat me to it. 2: By forbidding discussion it is impossible for me to understand the most important part of the spec, the person profile. I can only match on skills/experience. This gets interviews where the fit is right, but may deliver completely the wrong person fit. The process fails but who is at fault? 3: The % fee is quite low and this creates a problem for me. Should i send my most placable candidates (the best ones) in to this lottery or to the clients that talk to me, give me some exclusivity and pay me a fair fee for doing so? probably the latter. My commitment is equal to my clients commitment to me. It strikes me that Atlassian's commitment to me is quite low. 4; The rebate is quite punitive. I have no control over how my candidates are treated once they arrive, and without being able to enter in to dialogue with the hiring manager, it's hard to gauge who will respond to them and who will walk. The fit is as much about person as it is skill, i'm taking a big risk here with no dialogue. I'm sure, in the current market this could be a great success, but it is not a route i favour. Atlassian have created and dictated a lottery. There will be winners, but equally there will be losers. My advice to Atlassian would be to find the recruiters they can work with, agree achievable rules on both sides and negotiate. When you take speed out of it, commit to your suppliers and consult on ALL levels without closing doors, you would achieve a much better level of service. To recruiters, I would say that something’s got to change in the current service level to avoid more businesses going this way and more candidates turning their back on this service. I'd love to discuss this openly and get you Ross, Atlassian and other recruiters/candidates on "The Ready For Lift Off" show to debate this further, any time to suit the Aus audience. I think it would act as a wake up call for recruiters, and a good chance for others to air their views. Sorry but there's nothing remarkable here in the way of specific detail to help me nail down the people to solve their specific problems. For instance, they want these dotNETers to "develop awesome new features front to back"; way too ephermal for me – and should I ask developers about the awesome features they've implemented without knowing whether my definition of awesome is the same as the Atlassian hiring managers? All Atlassian's descriptions are fluffy yet they use tough and cool sounding language in the hopes of branding themselves as special. It's like a lovely coat of new and authentically colored paint on a lovely Victorian that is being silently attacked by termites. I don't really care if the jobs are open to the entire population of Klingons; if I don't have the chance to specifically identify the types of problems to be solved by the ideal people, I'm still in the dark. The only difference is that as an engineer I know the questions to ask; question is however, will I get the chance to ask these questions to the right person? Given Atlassian's posturing, I think not. Guess who loses? Could Atlassian provide me with a software solution if i said "I need a great CRM system but you can't discuss it with me. just send your best spec!" I think not! Why should recruiters be expected to do a good job blindfolded then chastised for under performance? I think the main problem in IT recruitment is that the recruiters are not technical. They cant distinguish between a good developer and a terrible one. Without being able to do that, they resort to pattern matching CV's, silly extrapolations & all sorts of stupid tests. And generally, the nature of agreements with most companies is there is an SLA that requires the recruiter to submit CV's within x days for a new position – so you are guaranteed to get whatever chaff they havent been able to place. My experience on both sides of the equation is that the recruitment agency have provided exactly zero value. Or worse, negative value. "Have you got O-O?" The question, already phrased in such a way to indicate knowledge of buzzwords only – was whether I had any experience with object oriented languages. My CV stated quite clearly a number of years experience with Java and C++. My response – "I have x years experience with Java and C++". The reply : "Yes, but have you got O-O?" In another situation, the agency put me forward at a much lower rate than I wanted. In the interview, which was successful, the manager asked me about the rate & I told him the truth. We agreed a higher rate. The recruiter proceeded to then get upset with my for discussing rate – and he thought the client will be upset because the new rate would be much higher. WTF? As an interviewer, I have had countless incorrect details. We ended up phoning a candidate while he was in the supermarket, doing some shopping. The time they gave him and us were completely different. Then there was the time where we got the candidate in for an interview, start discussing the role – at which point, the candidate asked us bluntly whether we had even read his CV. The role we were describing was NOT in his field of expertise. We HAD read his CV – and we passed it to him. As his eyes widened, he pointed out that this was NOT his CV. It had his name & details on it – but other than that, it was a complete fabrication. I have 10's of similar anecdotes from both sides of the recruitment equation. Its fair to say that the only recruitment policy that has worked for me or my company has been the direct EXCLUSION of recruitment agencies – instead working within the network of professionals & taking personal recommendations. So, to read the indignation expressed in the earlier comments from the recruitment 'professionals' just confirms my suspicions. Completely clueless – and completely unaware of it. I like the cut of your jib Nick. I do not recruit in the IT/software sector because despite programming my own games in binary on a 64kb RAM Apple IIe back in the 80's, I do not believe I have the relevant industry experience to effectively speak and understand the language. However I do think that people can learn a specific industry and recruit successfully into it if they focus their efforts on it. But as you suggest perhaps none of the recruiters you dealt with were of this ilk. The core problem I think everyone everyone has missed here (except maybe Aaron Dodd) is that in the vast majority recruitment firms and recruiters are not paid for their services unless and until they place a candidate successfully. They may even go so far as to agree to interesting terms such as with Atlassian that include paying the fee back if the candidate fails to work out. I know for a fact having employed the services of CRM, webpage development, SEO and marketing people (and I also just called a handful to reconfirm) that they will not EVER work on a project without receiving any payment until it is "successfully" completed. Again like you I am only going on personal experience. Instead, and correct me if I'm wrong, they will quote on a project, and expect 50% up front and 50% on completion. Also, if the job blows out with changes etc outside the original brief and quote, additional fees are charged. They will certainly not in my experience hand back the service fee if the development or result (for instance of a web page, CRM, SEO, marketing strategy, software package etc) is not deemed to match what the client had set out to achieve or felt they were paying for. Bearing in mind that the "human" product is also a considerably more fluid medium than these others. Maybe I'm wrong, and you IT etc professionals can shed some light on this for the recruiters that do recruit into this market. I am highly sceptical though that the IT/Software industry company owners & directors would on the whole accept what they expect in terms of fees for services rendered. Would you or do you buy the terms you peddle? In my experience recruiters can only be trusted as much as used car salesmen. It's been a pleasure to deal with Atlassian directly. In the specific case of Atlassian, all their software is available for evaluation (without functional restrictions) before you buy, and refunds are available for 30 days after purchase if you change your mind. But obviously selling shrink-wrapped software and recruiting have very different cost models, so comparisons are meaningless — as are comparisons between bespoke software and recruiting, for the same reason. Why is it recruiters feel they get to set the rules, the price and how a recruitment strategy should operate for a company they don't work for. There are a handful (not even0 of quality recruiters in the market who could add value here but this company clearly have had enough of the slop that previous recruiters have put through. This is a great idea and about time the corporate world actually told the recruitment industry who is boss. Ive been in the industry now for 8 years and the way that some recruitment firms operate is quite simply amazing. Clear lack of resepct for candidates, little to know understanding of the company they are hiring for and very little knowledge of the market as a whole. I know this as I have purposefully tested many to see who can add value to my career down the track. Standing ovation to Atlassian I say!!!! One of the recruiters anonymously above says "why would I bother referring top guns at basement $'s"
If you carefully read the comments of the engineers in this thread, you'll see plenty of disdain if not contempt for "what recruiters do". I've worked at leading Australian brands and so little of the resumes we get from them are remotely the 'top guns', or even working small-calibre firearms as far as I could every tell! When we put out our own ads then quality candidates would apply – you know the 'top guns' know what the good companies are, they don't need recruiters to find those jobs for them. Talent attracts attention, and it's usually also resourceful enough to locate the best places to work. If said recruiter was withholding MY resume on the basis of how much he'd get paid what do you think my reaction would be? He should put my resume forward on the basis of my suitability for the job. I don't want my resume sent to the best paying clients I want my resume sent to the clients I'd most like to work for. Every time I go near a recruiter I feel like I have to have get disinfected after, so dream on Mr. Don't Bother, your 'top guns' probably flunked outta flight school, the real top guns aren't sending their resumes to you. Lucky for me I am already talking directly to Atlassian. Half of the gun developers in the world are already using and very impressed with their tools. Quick Ross, get some Google Adwords on this page, you're missing on lots of hits!!!! I'm a software company founder (northeast U.S., FWIW), and suspect you'll never see us spend a single dime on a recruiter. Why? – Candidates who apply direct and who have obviously taken the time to evaluate themselves ahead of time against the description of the open position(s) are uniformly more clueful than the "top gun" that a recruiter shoves in the door. We want creative, engaged, motivated players — and if you're willing to let a third party come between you and your potential employer, than it's far less likely you hold any of those traits. – We know what we want, recruiters don't, and as difficult as it is to craft a listing that captures the kind of skills and disposition one hopes to see in applicants, it's doubly hard to communicate such things to a (in my experience) technically unconscious recruiter. – We know very well where to go to for "top guns" — for our purposes, that means local and semi-local technical interest groups, tapping the upcoming grad-list of profs we're friends with at local universities, and ringing up any of the dozens of absolutely stunning people we've already worked with as open-source collaborators. Given that pool, why would we bother looking at something like a couple of resumés from a recruiter? I've been on both sides of the recruitment game, and I definitely want nothing to do with it. Maybe that will change if we end up needing people with more commodity skills in the future, but I have a hard time imagining that. That said, I can see how recruiters could do good work for the largest of companies — but then, that's generally where the recruitment industry's worst actors find the most fertile ground. What really puzzles me is: why so much of a stir about Atlassian when Google has a more hostile approach (e.g. no recruiters, period)? The former is never going to represent much of an opportunity for placement, and it seems that Google's policy has long been a more significant indication of things to come than a plucky tools vendor in AU (which we love, BTW, but their size and influence relative to Google is what I'm pointing at here). Google do use recruiters. Not sure where this myth about them not using recruiters came from. after 15 plus years in recruitment, I've seen many models from agencies and clients. normal business in a supply/demand world. however in 2010 it would be very interesting to review Atlassians success with a changing supply/demand environment. When the market is hotter and candidates are harder to find, then consultants will not want to spend the time putting forward their best candidates for low fees. I give them credit for trying something new and at least the agencies who chose to deal with them are clear.